RnR Stamping: Another PPA Challenge! Another quick post before the big 150! Be sure to stop in on Saturday for a blog candy opportunity! 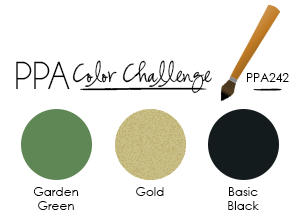 We're back to a color challenge this week and it looks like this challenge was created with an upcoming holiday in mind! The best thing about challenges is to see what everyone does with them. Click here to view some of the other creations for PPA242! Thanks so much for stopping. I look forward to your popping in to my 150th post celebration! Gold coins abound! 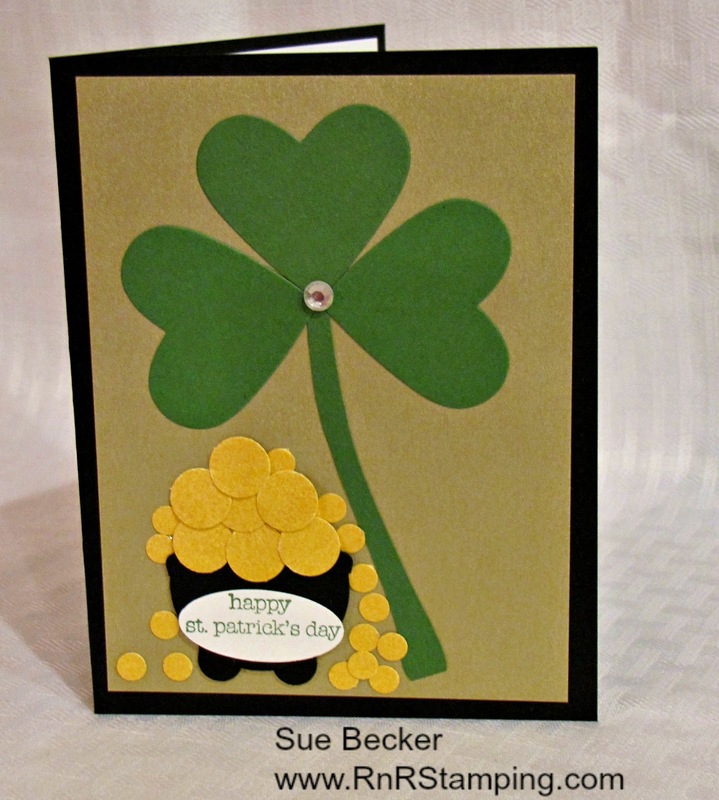 May the luck of the Irish be with you, darlin' Sue! Thanks so much for joining us this week! Love that pot of gold! Perfect for March! Glad you joined us at PPA! So festive and fun! What a great St. Paddy's Day card! Thanks for sharing it with us at Pals Paper Arts!